Well it's been a very exciting couple of weeks here in Townsville with the North Queensland Cowboys winning the 2015 NRL Grand Final over the long weekend. Go Cowboys! In the AFCM office we have been busy putting together our 2016 Summer Newsletter High Notes which should arrive in your mailbox early next month. It has everything you need to know about 2016 Membership including when tickets go on sale next year. If you would like to receive a copy simply sign up to our e-news here and include your address details. In the meantime please enjoy our October E-note. Thank you to everyone who completed our annual survey. We really value your feedback and the information helps us identify areas for improvement. So thank you! The quality and variety of the music, and the musicians themselves were by far the two best things about this year’s Festival. You also enjoyed the friendly atmosphere and Concert Conversations. Catering issues at the Civic Theatre (ordering and queueing; and lack of seating) and some venue issues (sight lines, acoustics and discomfort in church venues) were the main comments noted for areas needing improvement. We will actively work on improvements for next year. Congratulations goes to Heather MacDonald from Berry in NSW who was the lucky winner of our $500 cash prize for completing the 2015 survey. Heather has been a regular attendee at AFCM in recent years, is a Festival Member and is already planning her trip next year. See you next winter Heather! This month we find out what Camerata of St John’s have been up to since performing at AFCM. Q. Where was your next stop after AFCM? Camerata’s next stop after AFCM was our regional Queensland drought relief tour Strings at Sunset. The full company travelled to Chinchilla, Mitchell, Blackall, Barcaldine, Ilfracombe, and Longreach. Working with Chinchilla-based not-for-profit group, Drought Angels, we identified community groups in each location who used our concerts as fundraisers for their drought relief work supporting farmers in their local areas. In addition Camerata raised over $1,500 in food items which were gifted to Drought Angels to distribute to farmers in need. This tour also featured the Australian premiere of a work Camerata commissioned by Christopher Healey, Renewing Rain. We’re in the rehearsal room for our Halloween-themed concert program, Things That Go Bump In The Night, 21-31 October in Brisbane, Toowoomba and Ipswich. Our admin team are in the final stages of confirming details for our exciting Season 2016 program which will be launched this Friday, 16 October. Q. Next big thing you’re looking forward to? We’re very much looking forward to Things That Go Bump in the Night where we have commissioned a number of spooky film and animation works by the extremely talented Oscar-nominated filmmaker Anthony Lucas (The Mysterious Geographic Explorations of Jasper Morello). Following this, we will work towards our final concert for 2015 on 13 December in QPAC’s Concert Hall with Actor/Writer Tama Matheson, Bright Stars Shone For Us. Tickets are available for our final concerts of the year in Brisbane, Toowoomba, and Ipswich at www.camerata.net.au. Detours Coaches is not only AFCM’s transport provider but also a Silver Sponsor. Ron from Detours took some time out to reflect on their sponsorship experience with AFCM. Q. What do you enjoy most about being a part of the festival? Working with a well organised event, welcoming back repeat visitors and seeing first-hand the enjoyment attendees get after a concert or event. Q. How do you see the festival benefiting Townsville and the region? AFCM brings a different group of visitors to the region which benefits everyone, restaurants, hotels and local businesses like ours. There is a good vibe in town when AFCM is on. Q. This year Detours provided a day trip to Paluma Rainforest, how did that go? We had about 30 people join us for the day and they got to experience the contrasting landscapes of rainforest and bush and enjoyed some of our region’s tourism gems such as Hidden Valley and the Frosty Mango. Stay tuned for next year’s trip. If your business would like to come on board as a 2016 sponsor please call AFCM Executive Director Justin Ankus on 07 4771 4144 or email justin.ankus@afcm.com.au. We welcome back Amy to the AFCM office after returning home from a lovely 6 week honeymoon in Europe with her husband Kyle. 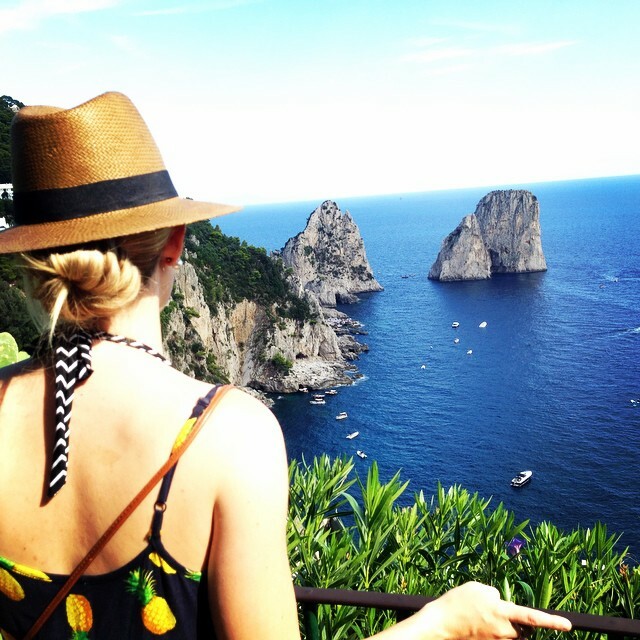 We absolutely loved the Amalfi Coast and sailing in Croatia. We ate loads of food and relaxed in the sun everyday which was amazing. Q. Did you get to attend any concerts or festivals while you were there? Q. Any funny moments you can share with us? I did manage to lose Kyle on a bus in Switzerland but we were reunited moments later... thank goodness! This technique skips the ice cream machine, the texture should be somewhere between soft-serve ice cream and dense, chewy traditional gelato. Depending on the sweetness of your mangoes, you may want to add more sugar. 1. Cut the mangoes into very small pieces. The smaller you cut them, the faster they will freeze and the finer the final texture will be. Arrange the mango pieces in a try and freeze solid, about 2 hours. 2. 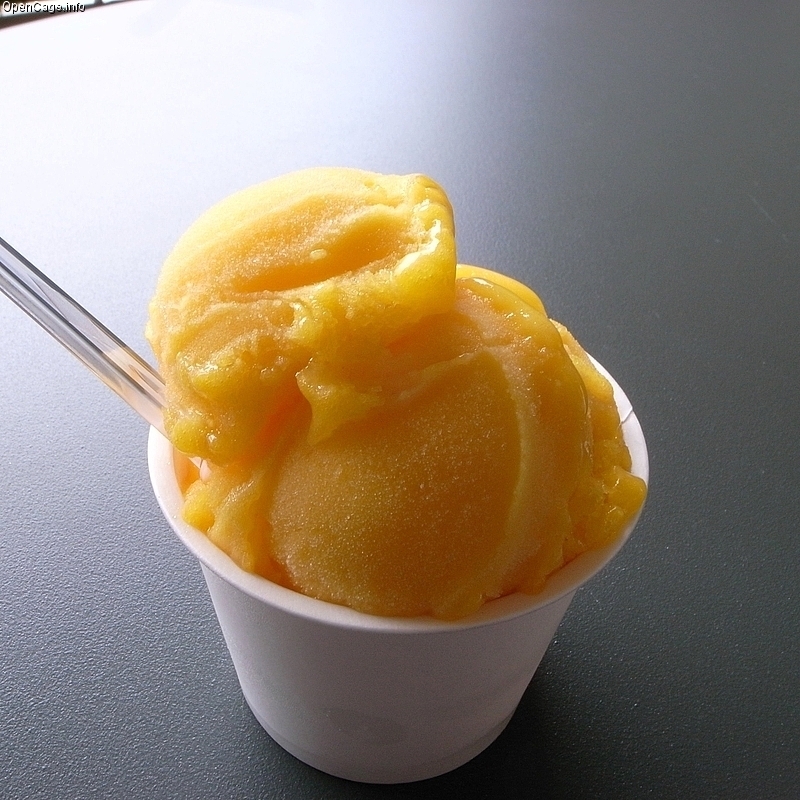 Put the frozen mango in a food processor with the sugar and grind briefly. Add the mascarpone and pulse until the mixture is smooth. 3. Empty the food processor into a small container and freeze again, 20 to 30 minutes, before serving. If the ice cream freezes solid, simply process it briefly again before serving. ENJOY! Liz Skitch flips the dark side of narcissism and self-improvement sunnyside up in this electric comedy masterpiece. 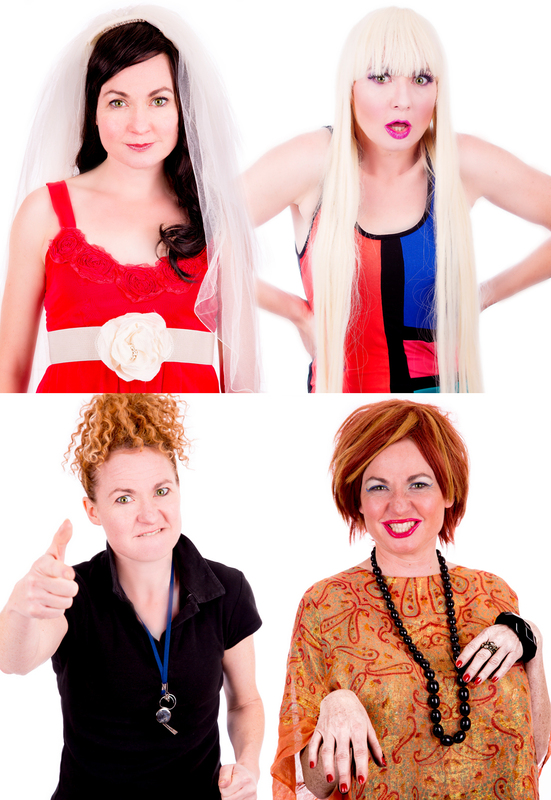 Five spoilt women unravel as the worlds of a reality ‘star’, celebrity trainer, botoxed celebrant, small-dog loving PR and bridezilla collide. Beware, contains traces of nutbush! Performed from 05-07 November at the SOA Theatre, tickets are just $35 and available online here or phone 4772 2549. The Orava Quartet and harpist Marshall McGuire are being featured at this year's Melbourne Festival from the 8 - 25 October 2015. Celebrating 30 years visit Melbourne Festival for more info. 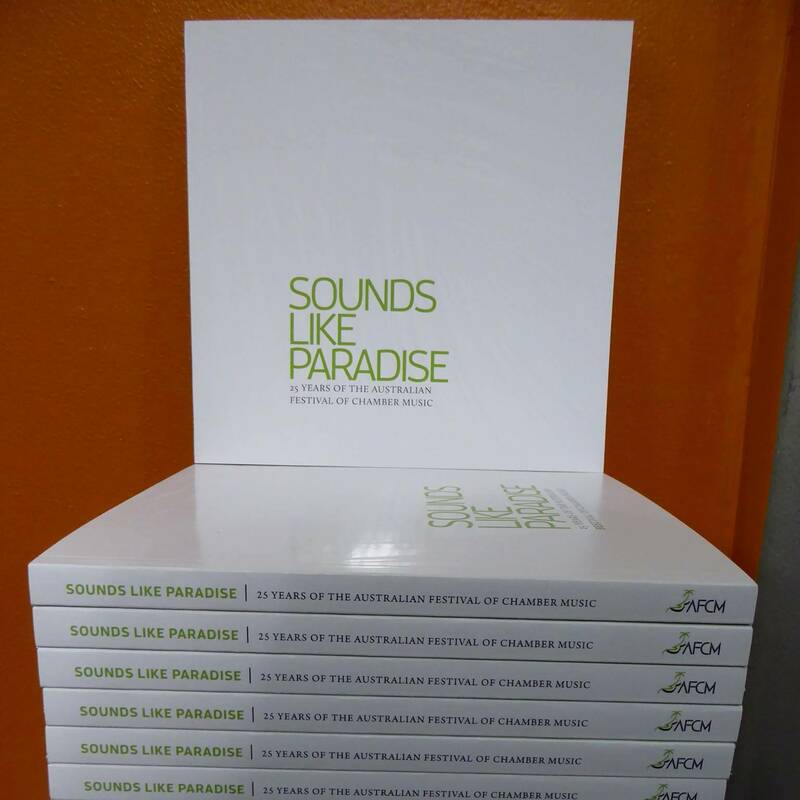 Copyright © 2015 Australian Festival of Chamber Music, All rights reserved. You are receiving this email because you have subscribed to festival updates via our website, attended and/or contributed to our festival.